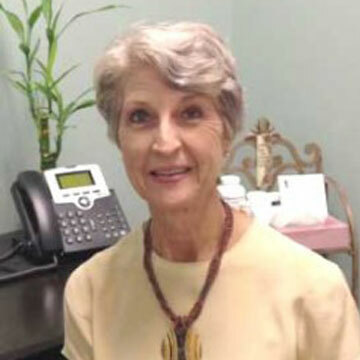 Home Conferences April 2019 Faculty April 2019 Betty Wedman-St. Louis, Ph.D.
Betty Wedman-St. Louis, Ph.D. is a licensed nutritionist specializing in digestive diseases, diabetes, cancer and environmental health issues who has been a practicing nutrition counselor for over 40 years. Her BS in Foods & Business from the University of Minnesota introduced her to how the food industry influences eating habits. Dr. Wedman-St. Louis completed her MS in Nutrition at Northern Illinois University where she studied the relationship between prolonged bed rest and space flight weightlessness nutrient requirements. She had a private practice at the Hinsdale Medical Center before completing her Ph.D. in Nutrition & Environmental Health from The Union Institute in Cincinnati. Dr. Wedman-St. Louis completed her doctorate internship at WUSF-Tampa in Multi-Media Production for distance learning and online course development. Dr. Wedman-St. Louis is the author of numerous published articles on current nutrition topics including bariatric surgery, lectin toxicity, phosphates in food, folate, Vitamin B12, seafood nutrition, alpha lipoic acid and diabetes. She has authored columns for The Hinsdale Doings, Chicago Sun Times and Columbia Missourian and has taught undergraduate and graduate courses on nutrition. She has written a personal health column for the Tampa Bay Times and maintains a private practice in Pinellas Park, Florida. Her website is www.betty-wedman-stlouis.com.